Haystack Rock | Flickr - Photo Sharing! My entire one carry-on packing list for the trip. Last year’s trip to Oregon cemented my love for alpine terrain, but every once in awhile the beach steals a shot or two. When I arrived in April, it was still chilly and overcast — perfect weather for landscape photography. I had hoped for an amazing sunrise or sunset, but Cannon Beach had other plans. And in retrospect, I don’t think I have any complaints. 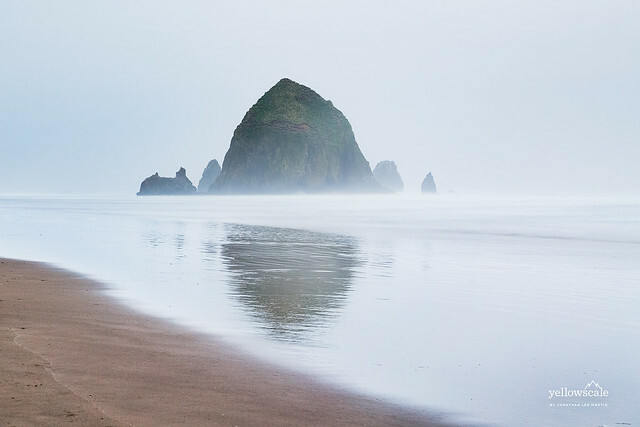 Haystack Rock, Cannon Beach, Oregon.